Iraqi security forces inspect the scene of a roadside bomb in central Baghdad, Iraq, on Sunday. 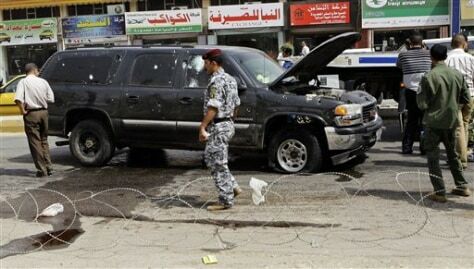 The blast killed a passer-by and wounded several others in the mixed Sunni-Shiite Karradah neighborhood. Officials said the bomb appeared to be targeting a police patrol.